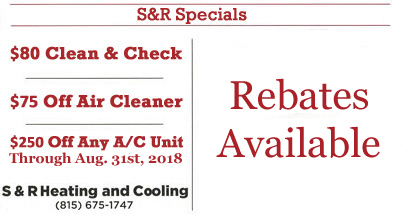 Not only does S&R Heating & Cooling find the best solutions to your energy-efficiency and comfort challenges, but we can also make those solutions more affordable. Surprisingly, the cost of repairs, a PLUS™ Service Plan, and even a brand new energy-efficient heating and air conditioning system can be very affordable with our consumer financing programs. Many customers desire and enjoy a monthly investment plan, and in some cases, the utility savings from routine maintenance or a new home comfort system can easily offset the monthly cost of the plan. Ask us about financing options that can get you into a reliable, efficient, and comfortable heating and cooling system for a monthly payment that will leave you breathing easier. Synchrony credit application.